Just when you thought that European countries are not investing enough in interactive content, Domenico La Porta, Head of Transmedia at Wallimage and Director of the R/O Institute, announces that the R/O Institute will open the doors in October in Charleroi (Belgium), and offer a free 6 to 9 months immersive training to selected transmedia projects. 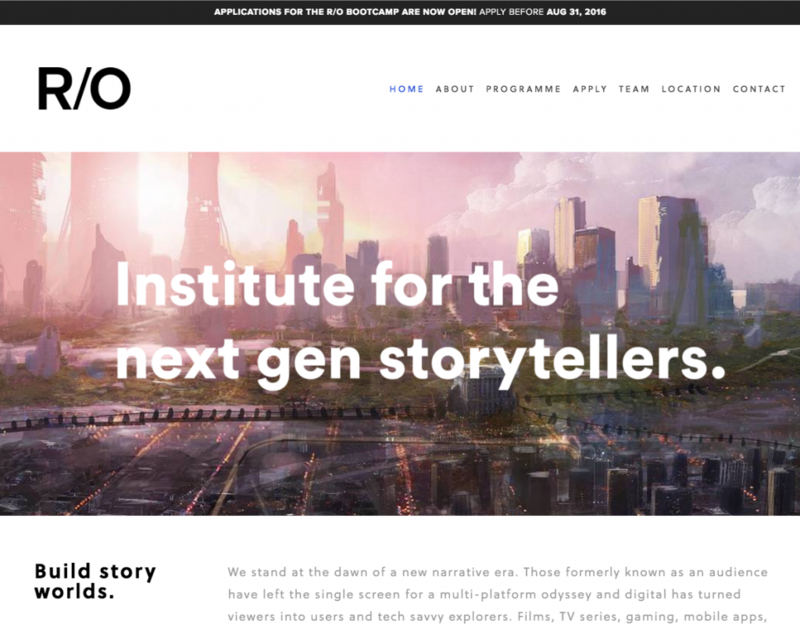 An accelerator for interactive stories at our door steps? Can this be true? Around 50 projects are going to be selected after the 31st of August (application deadline) and will join a 3 months R/O bootcamp in October. From these 50 projects, only 10 are then going to be accepted to a six months residency training in Charleroi and will then be included in the R/O catalogue – which aims to support projects in marketing and sales across the world. See the announcement of the initiative at Cannes Film Market’s NEXT pavilion in May. Domenico La Porta, director of new initiative R/O Institute, at Cannes Film Market’s NEXT pavilion. But how will this all work in detail? In this interview with Domenico La Porta, Director of the R/O Institute, I have tried to understand to whole raison d’être – and the business model – behind this new exciting opportunity for interactive storytellers. SG: First: why such a weird name? R/O is is a play on the French word “hero” (pronounced “R” “O”, hence the name R/O). Will any non French speaker get the “finesse”? DLP: Well the problematic started in Belgium with the creation of the company Belgian Heroes SA. Belgian heroes are all those comic books – heroes that were created between 60 and 20 years ago and are still created now so Tintin, Asterix, Largo Winch, Thorgal all those heroes that were created mostly in a comic book form in Belgium. But they never managed to go beyond the digital border. We started the discussion with a holding group, Media Participation, that owns the rights to those heroes and they created a few years ago a company called Belgium Heroes. The purpose of that company was to have those heroes migrate to the digital platforms. But I didn’t like the name “Belgium Heroes”, so when we came up with the idea of the Institute as part of that company, we tried to modernise it a little bit and we just cut the word ‘Heroes’ and we just kept the R and the O.
SG: I was going through the R/O website and I was unclear to me if the R/O Institute will specialize in interactive storytelling or if it will take on board all types of storytelling. DLP: We start with a story. To apply you just need to submit a story and the ID of a platform you have in mind to unfold it. So it could be a comic book, it could be even a novel whatever you have in mind. But through that application we should be able to feel the transmedia potential. We are aiming at a transmedia storytelling and not really cross-media marketing or multimedia narrative. For example we are not looking for stories that starts as a book, then become a film and then it follows up or there is a side story happening online. We are not looking for adaptations but for transmedia storyworlds. SG: So if someone does apply with a play in mind, should there be a digital component too? DLP: You have to be open to digital. If you come up with a play and if you feel that the play has the potential to develop the characters or the story on other platforms then you are eligible. SG: Let’s go back to the application process: projects with a transmedia potential can apply online on the R/O website before the end of August. Is it free to apply? And open to any countries? DLP: Yes. It is really easy to apply, we just ask for one page – on one side you describe the story, on the other side you describe the kind of platform that you have in mind to tell your story. On the basis of that we will pre-select a series of project that will be able to participate to our bootcamp – a series of talks and workshops that we will start organising in October. SG: You do explain in your website that there will be a bootcamp between October and December – three months. What sort of activities will it include and does it mean that selected people have to come to Charleroi (in Belgium) to attend the bootcamp? DLP: No, not for the Bootcamp. The idea of the Bootcamp is that we will preselect around 50 projects. And for those projects will receive streaming tickets. So we will have a physical live conference in Charleroi but you don’t have to be present physically. At the end of the conference, for the Q&As, people will have the opportunity to ask any questions to the expert via the online channel. SG: And what is the role of these conferences and guest interventions? Is it about opening people’s minds to new opportunities? DLP: Yes and also to tell them the kind of strategy that we have in mind for their project. Because right now it is very new so a lot of people don’t really understand what we want to achieve over the course of the following nine months of the training. So if you apply with a story, then you realise that it is not exactly what you had in mind. This is why we ask for a very light application at first because we want your idea to be able to evolve. But what we also want to do during this bootcamp is really to train the people to apply to the second part. So we will explain everything that we will be doing at the R/O Institute and there will be a workshop organised to help them come up with the final application. SG: So you pre-select 50 projects in October and by December they have to re-apply with a more substantial transmedia strategy if they want to be one of the selected by the R/O Institute to go through the full training. Is this correct? DLP: Yes, you need to have been pre-selected first. It is called a pre-selection because of that. And out of those 50 projects, we will keep 10 to 15 of them on the basis of their new application. SG: Do the projects have to apply with a team or it could be a one person band? DLP: No you don’t have to have a team. But you have to understand that starting from January there is a physical presence that will be needed in Charleroi. So we are still in the process of figuring out the needs of every project if we are very interested in a project but the guy is telling us that he cannot come for six months then we will start discussing the idea of a team and maybe he can come for a month depending if there are several authors for a project or only the producer. Or we can also assemble a team with him because maybe he doesn’t have partners and he can find partners here in Belgium in Wallonia that have a proximity with the Institute itself. In this second part of the training, once you have been selected, we will have events organised every week – group sessions, workshops – and for that you need to be physically present. SG: Again, to give an idea of the time commitment to people that are considering applying, do they need to be in Belgium for 6 months if they get selected to round two? DLP: Ideally yes. But because we know it is difficult, we decided to separate the Programme in different skillsets. And there will be an evaluation of the different skills and if you are already advanced in some of the skills then you can skip the month where the skill will be developed. SG: Tell me more about this skills you want them to acquire at R/O. DLP: For every set there are five to six skills. For example if you take the first skill set which is “the storyworld” we will have storytelling, we will have the story, the characters, the environment – all those are skills. But they are not skills that are personal skills, they are the project skills. So if we feel that the project itself doesn’t have enough depth in terms of the methodology of the project or the characters then we will continue to develop those skills and its centre around one specific month. 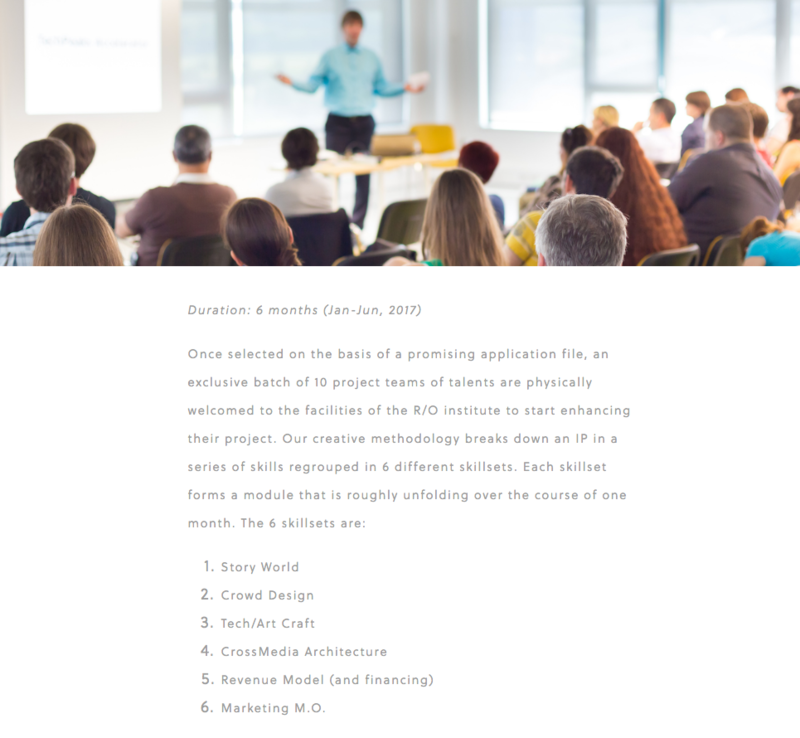 Then the next month we will move for example to “business model” and during the course of one month we will discuss the skills linked to the business model that are for example financing, public finding, crowdfunding for example, freemium models, multi-streams revenue – all that. SG: I was looking at your six skill sets and they have interesting names. I mean Storyworld is easy to grasp but Crowd Design does it mean simply design but with some sort of user-centre logic? DLP: Yes, well in Crown Design we will figure out what is the real audience of the project. So it is about doing this audience pyramid, we have a method for that. And it is really about how do you come up for a strategy for each level of the audience pyramid. And how do you have for example people that are just casual consumer to become engaged and someone will analyse that and try to find ways for people to achieve the maximum level of engagement with the project. It is about designing your audience. SG: And what about the next skill which is Tech/Art Craft? Does this effectively mean prototyping? DLP: Yes, there is a lot of prototyping involved there but also we will do a lot of showcases of techniques – for example under Unity or under Matt painting or what are the flows of these techniques? What are the assets? What are the plus and the minuses? We will have a lot of digital artists coming. Also everything that is tech related so we will have a lot of showcase of companies with innovative technologies whether it is virtual reality or whatever we can find that can fit our new forms of storytelling. So it is not only prototyping it is also allowing tech companies to experiment their new platform through us. SG: I am interested in your process. Would you say that in order to go through those six points you have developed your own methodology that is actually coming from your own experience? DLP: Yes, this is definitely a method that is based on personal experience and we are trying to come up also with a model in a way. But within the framework of that method there is room for a lot of adaptability, a lot of tweaking because every project will be different and will have different needs. But I am sure that every project that we will receive has to have a very good story, very good background, very good characters. And if you neglect that aspect all the rest will not be as interesting as it should be. The same with the revenue model, the same with cross-media architecture which is not only figuring out what platform is best for you but how do you navigate across the different platforms with a seamless narrative. SG: If all the projects go through the same training at the same time, is there collaboration between the projects? DLP: Yes, everybody is working together. If we take the hypothesis of 10 projects they will be split into 2 groups all the time but those groups will be modulated over the course of the year. So right now as the programme is but we are still fine-tuning the details but there will be 2 group sessions every week with the Moderator – so there is an Animator that is animating both groups. And then they move from one group to the other depending on the compatibility as well. If we feel that one project doesn’t need one skills, for example animation, but others could benefit from animation then we will group them in a different way. Those are small group sessions. It is five projects grouped together to work with an animator. We will also have experts visiting these groups and when they come for a general talk they will also have individual session with the groups. This is why you need to be physically present at the Institute… there will be a lot going on. SG: How will people sustain the cost of staying in Charleroi for six months? DLP: We have a hotel that is dedicated to us. It is a totally new facility and there are seven apartments of two rooms. So we will have one room ready for each project. SG: Unless you go for really young people it will be difficult to have one person who has six months to dedicate to the project and leave abroad. Could team member split the time and come in turns? DLP: Yes, that is the idea. And this is why we do this pre-selection because we need time to fine-tune the model of our workshops depending on the projects that we will receive. For example, if the producer wants to come but we feel that the producer alone is not enough we could need also a designer with him or a developer, then we will suggest that he comes as a team. And if he doesn’t have the team yet, because the project is too early staged development, we can help him to find one in the region. SG: Is this where the Wallimage fund sees its interest? In matching talents with Wallonian companies and brining business to the region? DLP: Yes, that is the idea. And also this is the interest of Wallimage Creative, because Wallimage is one of the founders of the project. R/O gives us quality projects that we might want to finance over the course of the training. SG: So: if you are selected you spend effectively nine months crafting your idea, and probably getting a solid prototype and a marketing strategy. What happens after that? Who owns the IP of these projects? DLP: We have our own business model. When you asked if the incubating period is free… yes, it is free, but it is not totally free. We finance the training and on the other hand we share the IP with you, so the company Belgian Heroes will share the IP with you. Meaning that your IP will join a catalogue of IP that we have. And we will act as your agents: if we manage to sell the IP to partners, to broadcasters and anyone that can help the project to actually access the market, then we will have a percentage of the IP of the sale. That is usually the same as sales agents are taking, it is 30% – but it is also negotiable depending on the platforms. We have people that will go to the main markets and will try to find the best partner for the projects – that is one point. The second point is that among the partners behind the R/O Institute we have some broadcasters, some publishers – comic book publishers but also some digital publishers as well. We will have also some technical company – we are in negotiation with people at Unity, at Tritech and stuff like that. And these people will have an option on the IP meaning that over the course of the training they can come up and say, “Okay we are interested in this, we would like to partner with you and we finance it.” And they will be the first to have the possibility to do that. SG: So from a legal point of view you place yourselves as co-producers? DLP: Yes, well we could say that. We cannot really talk about production because the term producer works for film, for series and for audio-visual production. But for example for a comic book it doesn’t work. So we would say that what we do is we take the rights and then we split the rights with the authors depending on the platform that will be developed. If at the end of the R/O Institute what is launched first is a comic book then we will have the rights and we will split the rights according to the rules of that market, with the authors of the comic book. It is more about splitting the rights than co-producing. SG: I see this model working well with games and digital formats for TV, because there is a clear sellable product, but most i-docs are not money generators. What about them? DLP: The idea is that we will prepare the project so that it is ready to start production. All the development should be made over the course of the training. They will have access because we have the R/O Institute and we have the R/O Lab that is part of the Institute. And where there is tech material we have developers that they can have access to so it won’t be a problem for the prototyping and also for the budgeting. And then, with them we will try to find partners for the product including co-producers. So if they need International co-producers then it is a process that will be made together. And if the producer that is attending does find a co-producer and they make a deal then at this stage, yes we will act as a third party, a co-producer. SG: So the author, or the person who leads the project idea, can also look for financers and distributors? DLP: We are in the same boat, meaning that we will do whatever we can to bring the partners. And over the course of the training there will be pitching sessions organised in front of decision makers or commissioners. And at the end of those pitches there will be grants that will be ready to be collected over the course of the training, not only money – sometimes it is development money, production money, servicing. There will be all kinds of possibilities. For example we have someone from Facebook that will come and that will offer Facebook ads for a budget of €10,000. This will be given during a pitch, so for the marketing skillset it is very important to win that pitch. This is the kind of partnership we are trying to set up now with the people that will attend our pitches as jury members. SG: Let’s think of an example: a documentary story with a web-doc element and a VR installation attached to it. They find a broadcaster that is happy to cover the production costs. This is a one off payment… is this from where you would take your cut of 30%? DLP: Yes, because then they have to repay the training. We don’t really put a value on the training that is a money value but we put a percentage of the IP itself. But it is possible that we also find the broadcaster for them and in that case it works the same way. And also we have already a broadcaster attached – RTBF is part of the shareholders – so meaning that RTBF will have a first option. If some broadcasters say, “I want to buy the project,” RTBF has the right to match the offer but if they match the offer they have to come first. Note that there is a deadline on this option, it is 18 months after the Institute training. So it is 9 months plus the 18 months. If after 18 months we haven’t found any partners and the project is still not producing anything, then you can find your own partners and we don’t even take a cut. SG: Thank you so much Domenico for your time. Your website is not so clear about the IP structure and the R/O Catalogue, so I hope that this interview will be of help to potential appliers. I think a storytelling incubator was very much needed in Europe… so I hope many others will be inspired to do the same in the future! All information about the R/O Institute can be found here. And not forget to apply here! For those wondering what sort of capital is behind the R/O Institute, have a look to the following article in French. 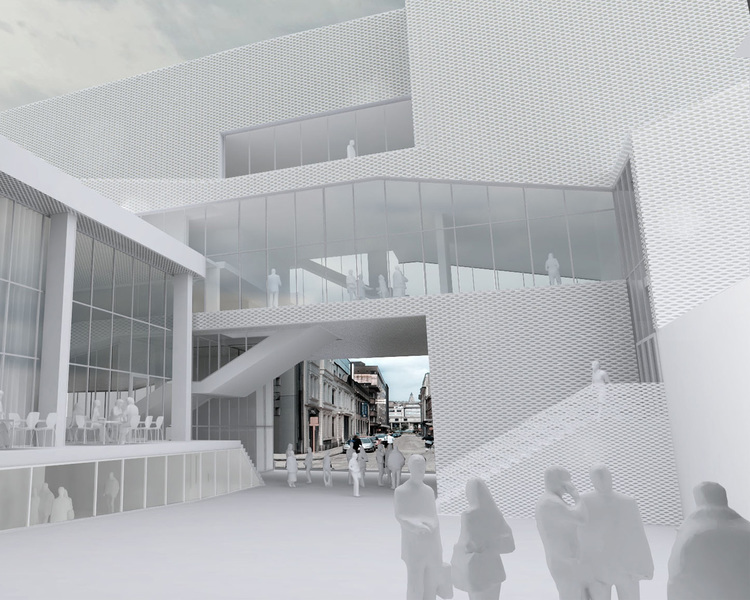 Effectively the project is co-financed by the Walloon Region with a capital of 2 million Euros. To this, one has to add a research funding of 1.7 million Euros (via the DG6), part of a global research fund of 3 millions for the R/O LAB (the three entities been: the R/O Institute, the R/O LAB and Belgian Heroes SA – which will look after the IP of the projects). 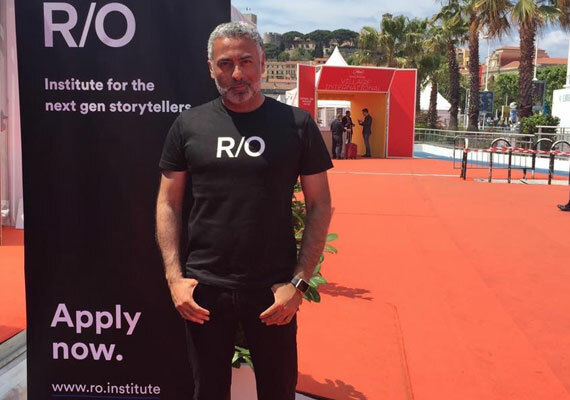 As I did some extra research after this interview, I also noticed that the R/O institute has links with another IP accelerator for multiplatform storytellers in Northen Europe: STORYTEK – also just launched in Cannes, and linked to the Tallinn Black Nights Film Festival. This might be of interest to some of you based in the Baltic countries. Read the story here.